The Philippine Justice Department filed the first major corruption complaints against three powerful senators, former lawmakers and a wealthy businesswoman Monday following a public outcry over the alleged plunder of millions of dollars intended for anti-poverty projects. Justice Secretary Leila de Lima said the complaints against the lawmakers, including veteran Sen. Juan Ponce Enrile, alleged that they conspired with dummy aid organizations to steal millions of dollars in government funds that should have been used for agriculture and livelihood projects that the lawmakers had designated as recipients for the funds. The alleged kickbacks were part of $141 million transferred from 2007 to 2009 to dozens of questionable non-government organizations, including those put up by businesswoman Janet Lim Napoles, according to a government audit that was part of the evidence used against the lawmakers. Thirty-eight people were named as respondents in Monday's complaints, including staffers of the lawmakers, but de Lima said more people will be charged. The recommended charges range from plunder — a non-bailable crime — to misuse of public funds, bribery and graft. There was so much documentary evidence that justice officials used a truck to haul the papers to the Office of the Ombudsman, or the anti-graft prosecutor, in a convoy of vehicles that was trailed by the media and beamed live on nationwide TV. The prosecutor will evaluate the evidence before forwarding the case to an anti-graft court, which will decide whether to issue arrest warrants. The scandal caused such an uproar in the impoverished nation that hundreds of thousands of people turned up at a huge protest in Manila last month. 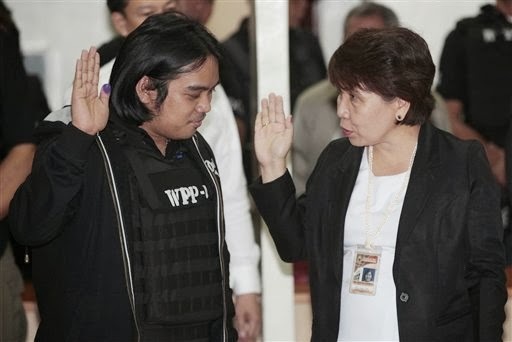 At the center of it is Napoles, who is accused of acting as a conduit for the money and a mastermind of the scam. She surrendered to President Benigno Aquino III in August after she was charged with illegal detention of a whistle-blower. 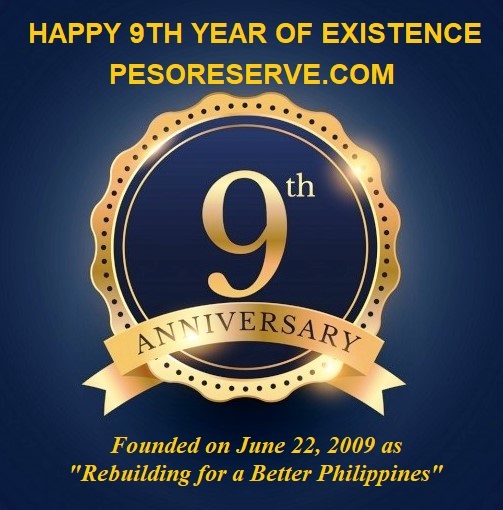 "This is a cleansing process," said Senate President Franklin Drilon. One of the respondents, Sen. Jinggoy Estrada, who is a son of an ousted president, told his colleagues Monday that he was innocent. He said that Enrile, at 89 the oldest senator, was taken to a hospital over the weekend for high blood pressure but that he would challenge the charges in court. The complaint has recommended the plunder charges be laid against Enrile, Estrada, Senator Ramon Revilla Jr. and two former members of the House of Representatives for allegedly pocketing more than 50 million pesos ($1.4 million) each. Enrile said in a statement that the complaint was filed after an incomplete investigation. "Let me make clear that I am innocent of the charges filed against me," he said. Three other former House members are being accused of misuse of public funds, bribery and other corrupt practices for receiving less than 50 million pesos each. Napoles is named co-conspirator for both the plunder and the misuse of public funds charges. A summary of the complaint said the scam starts with an agreement between a lawmaker and Napoles to designate her NGOs as recipients of special development funds that each member can allocate. The lawmaker allegedly then got 40 to 60 percent of the project's cash value as a kickback, while Napoles gave 10 percent to the head of the government agency implementing the project and pocketed the rest after deducting the cost of overpriced supplies.